My dip into “Hannibal” was initially meant to be a three-episode arc and in agreeing to go into the second season it was as much as I could do in terms of my schedule. In the end it’ll end up being three or four episodes. Out of their run, and considering how few scenes I have, it’s not actually that much. So that hasn’t had much of an impact on the rest of my life as agreeing to do “Crisis.” It doesn’t feel like I’m doing two American series necessarily. Definitely the pilot episode, before it was called “Crisis” or any of the rest of the cast had been chosen, the script itself stood very strongly. It was just one of those things that I was compelled to read. My daughter, who is a teenager, couldn’t put it down, and that’s always a good sign. If that script had come across my plate a year prior, I might not have said yes to it. I don’t think I’ve ever played an American businesswoman. Certainly nobody as powerful as Meg is. And she values her role as a parent so strongly. 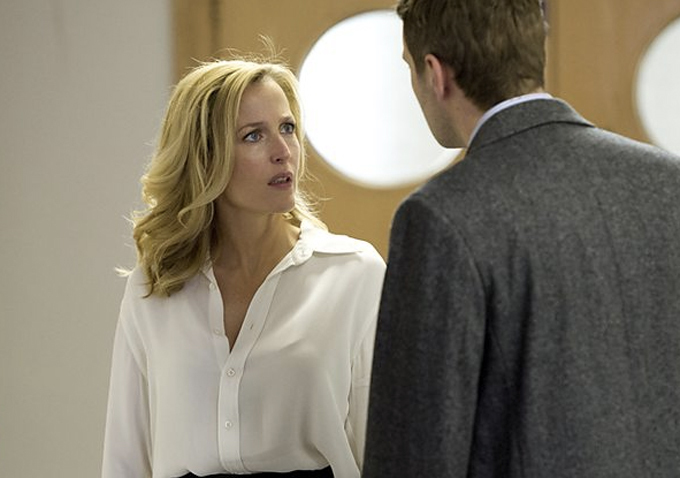 Stella [from “The Fall”] doesn’t have kids and, for all we know, Bedelia [from “Hannibal”] doesn’t. That’s not a part of their identity, whereas I would say that Meg would say that her choice to be a mother is a part of her. All those choices that we make inform us and who we are as people in the world. They also have different sensibilities and I hope different personalities as a result. How do you feel like you have changed, as a person and an actress, since you rose to stardom on “The X-Files”? On the outside, anyway, I feel like I grew up in front of the camera on “The X-Files.” It was formative and transformative years for me, and a very public way to grow up. I’m not sure whether I would necessarily choose that for me again, or choose that for anybody, but that’s what it was and I feel like Scully informed who I became and the kind of woman that I was turning into. I also feel very strongly that the same thing is happening with Stella. 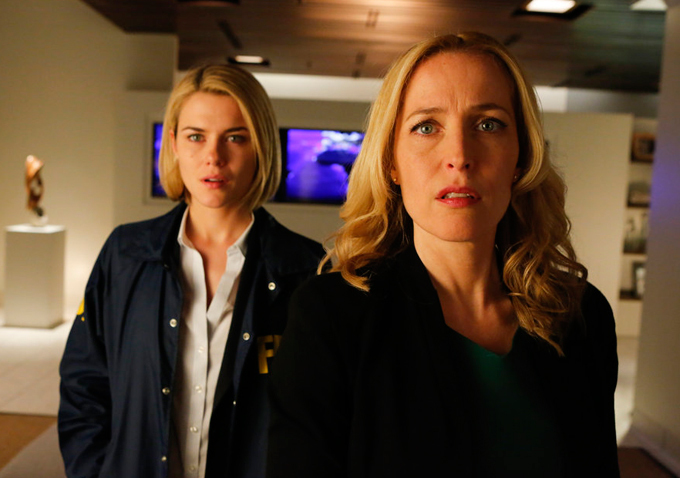 In “The Fall,” I feel like I’m a better woman when I’m working as Stella, when I’m filming. I feel like she’s had a really positive impact on myself and my femininity and my sense of myself as a woman. There is a transference there. I do believe that. Where Meg is concerned, I’m not quite sure yet. I don’t know what kind of personal impact she’s had, except that she identifies as a mother and exudes that and exudes professionalism. She’s like an alpha woman and that’s interesting to play. I don’t feel like I project that in my life. Other people may tell you differently, I don’t know. [laughs] I feel like I’ve taken as much as I’ve given as well. It’s completely different, and I understand the difference — the bottom line and the amount that the machine that the networks are and have had to become over here in the States. There’s so much stuff that they’re pumping out and there’s so much money that’s going into it with so much at stake. Everybody is trying to save their networks and I get that. I get why there’s so much input. With “The Fall,” there’s no input. The producers, the writer, and the executive producer are all off doing their own thing. Obviously that’s going to have a different impact on everybody. To be honest, it feels like it’s the way that it should be. But you have to earn those stripes, and certainly when a show becomes more successful there’s less input, from what I’ve heard. It happened with “The X-Files,” but after they realized that what everyone was doing was working and they had a formula that was effective, they were involved less in it. It’s a necessary part of the process. It certainly seems like things are shifting in that way with shows like “House of Cards” on Netflix. 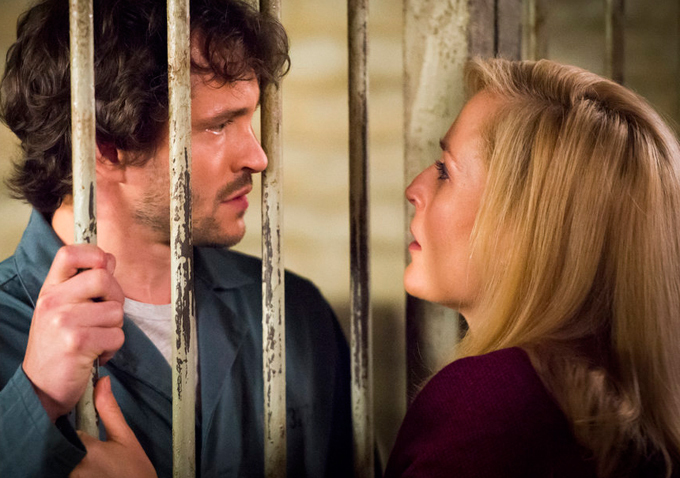 Have you had any interesting run-ins with any of the Fannibals (as the “Hannibal” fandom calls itself) yet? I did Comic Con in 2013 for the twentieth anniversary of “The X-Files,” so that’s where I ran into the Fannibals. It’s all good. It’s people showering love onto something and that’s a good thing. 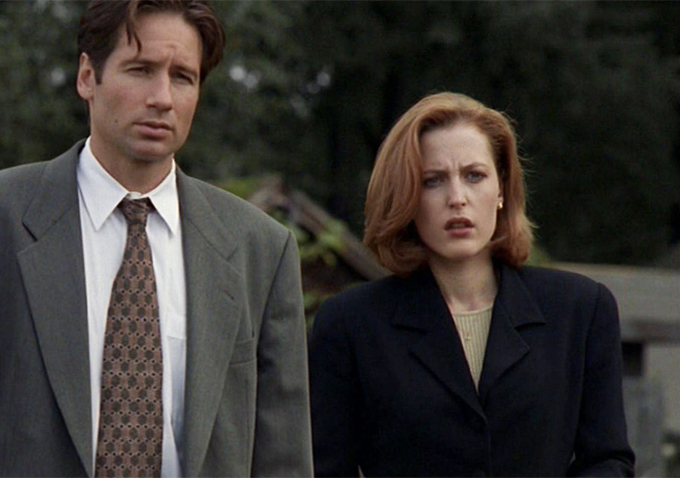 There have been talks of another “X-Files” movie or some type of revival of the show for years now. Is there a chance that’s ever going to happen?